It took us a long time to get this one exactly right, but now our Balm is finally here! Balm keeps your beard and skin moisturized and healthy while your beard becomes easier to manage. The product has great hold throughout the day. It also prevents inflammation and nourish the skin, and yeah it also smells fantastic! Remember that this balm is made to last in the Finnish woods during winter too, so it can stand almost everything. Käsintehty ja Luonnollinen Partabalsami Suomesta! 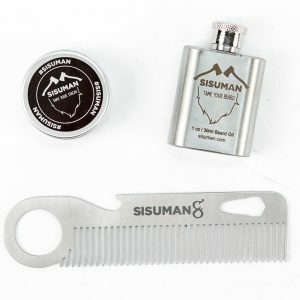 Easy to apply and feels light in your beard. This simultaneously as it provides great hold throughout the day. The hold is comparable with waxes without feeling heavy. Perfect for bigger beards! The scent is Warm while still being fresh. Consists of Neroli, Pine & a small dash of Eucalyptus. Signature SISUMAN. 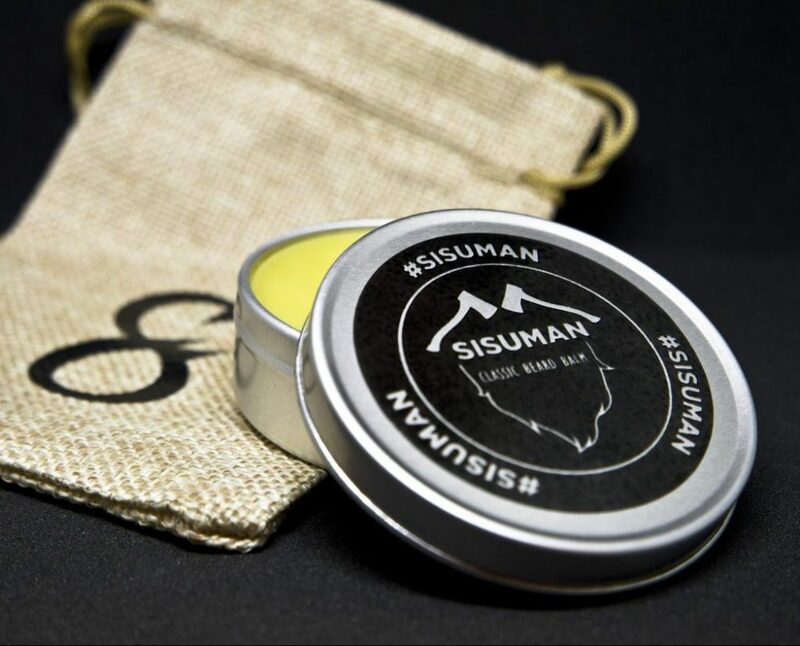 Our Beard Balm is handmade in Finland and consists of only natural and organic ingredients. Scent is unique, warm & fresh at the same time. Not too strong to fit most men! 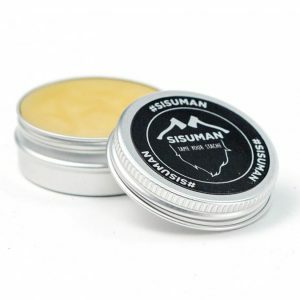 This Balm keeps your beard and skin moisturized and healthy while your beard becomes easy to manage. The product has great hold throughout the day. It also prevents inflammation and nourish the skin, and yeah it also smells fantastic! 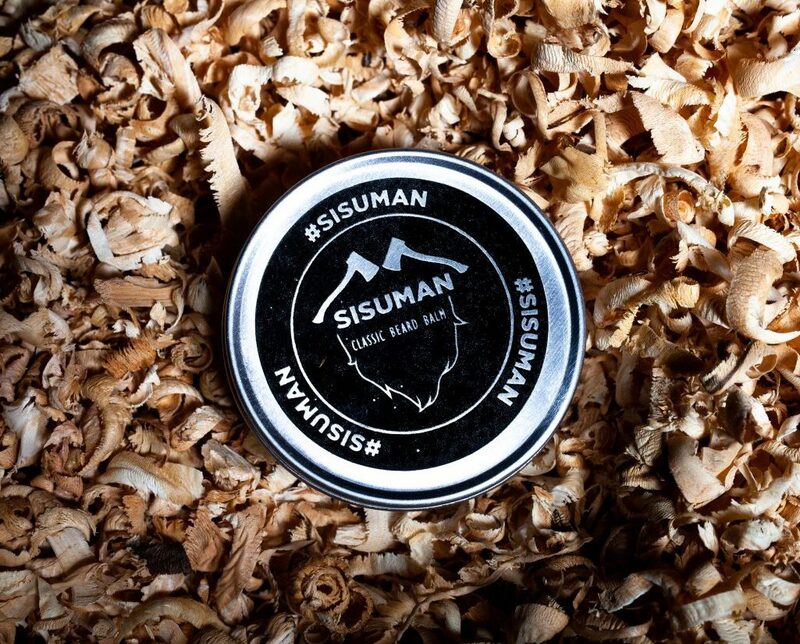 Remember that this balm is made to last in the Finnish woods during winter too, so it can stand almost everything. Scrape out a dime sized amount of balm and rub between your palms intensively until it melts. Run your fingers through the beard from neck and up. Make sure to rub it into the skin and mustache area. Shape to desired style. We prefer to apply Balm after a shower when the pores are open. Find your own unique way that works best for you! Kestävä partabalsami! Oli saanut tuoksua enemmän mun mielestä mutta ymmärrän että neutraalinen tuoksu sopii useimmille yhmisille.